Leaders at the Federal Reserve voted Wednesday to move forward with the central bank's plans to gradually cut monthly bond purchases, a sign of growing confidence that the economy is trending in a more favorable direction. In a statement released following its July meeting, the Federal Open Market Committee announced it has voted to bring its purchases of agency MBS and longer-term Treasury securities to a pace of $25 billion per month. 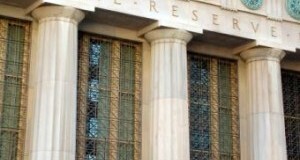 The FOMC concluded its June meeting with the announcement that members have once again voted to bring down the Federal Reserve's stimulative monthly asset purchases. Taking a cue from improvements in labor market indicators, household spending, and general economic activity, the committee members voted to reduce the Fed's monthly purchase of agency mortgage-backed securities (MBS) to a combined $35 billion per month.